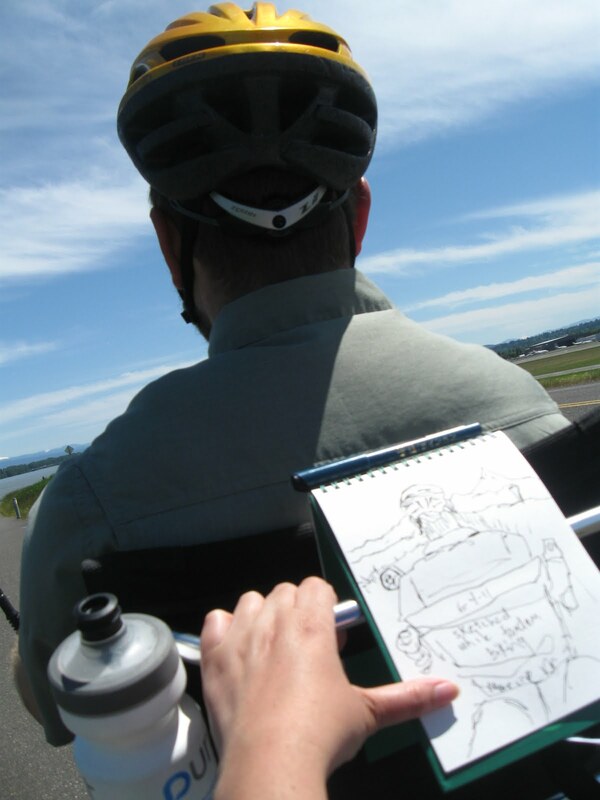 >Tad and I went on a tandem bike ride around Portland. 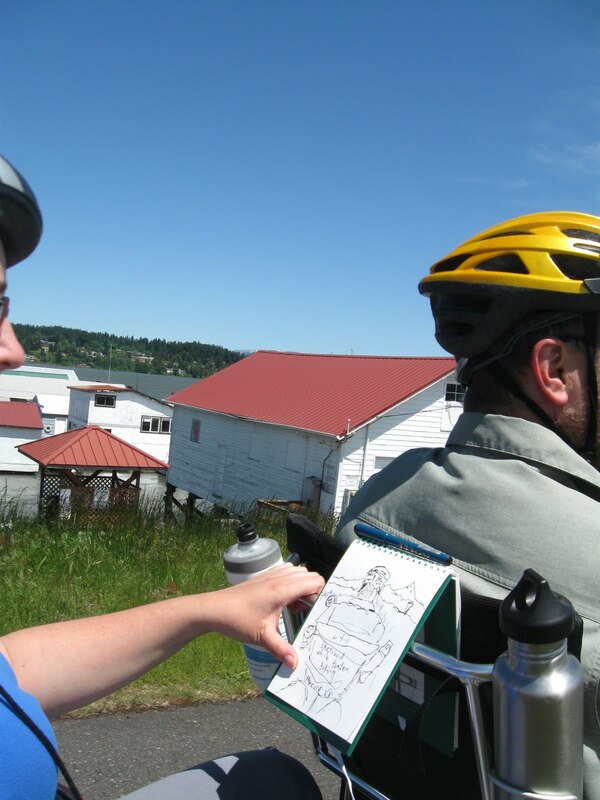 I tried out my ability to sketch and bike at the same time. 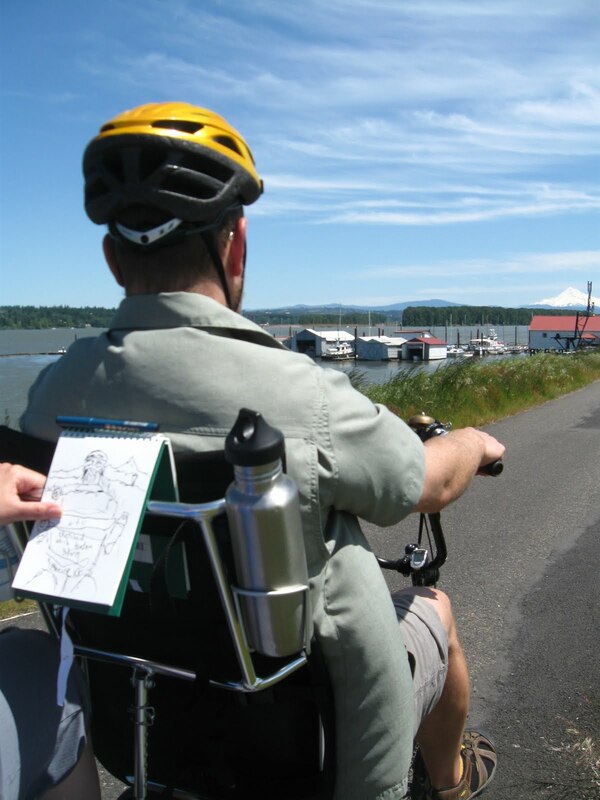 thanks to the recumbent bike seat style, I was able to secure my sketchbook. a rubber band would have been useful….I didn’t bring my watercolors, but I couldn’t imagine using them anyway! the sketch with wc added the next day. 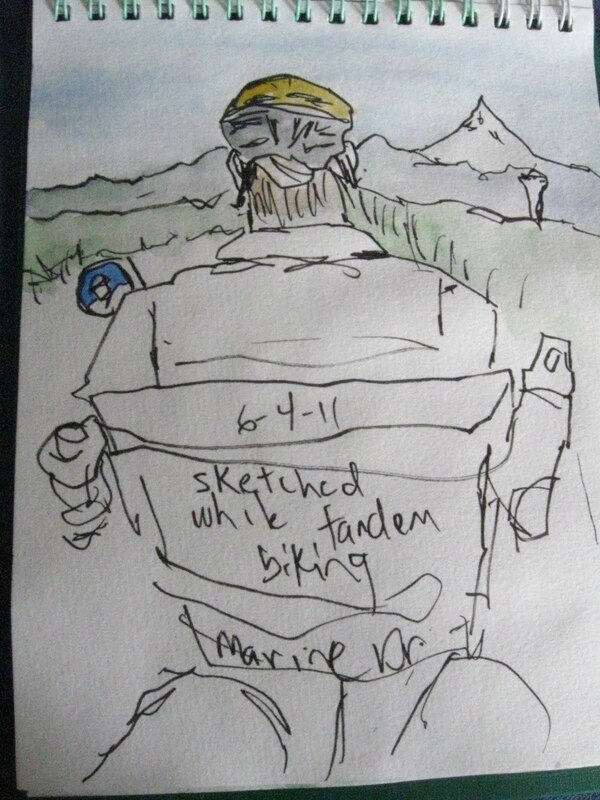 Biking with mt. hood and the airport in the distance…. This entry was posted in Portland by Alanna Randall Beckwith. Bookmark the permalink. I used to draw while walking. If you see my blog, the Geração à Rasca demonstration sketches were made this way. Hope to see you in Lisbom for Symposium.